Mood swings are another common side effect of pregnancy. Expecting women often find at loss of emotional balance. Their mood undergoes great level of fluctuation, often the reason of which they themselves aren't aware about. 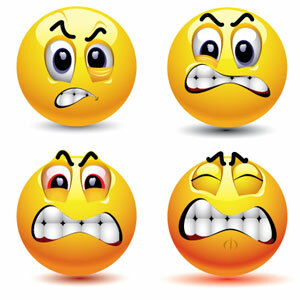 There are many reasons that cause mood swings such as change in metabolism and hormones, physical stress and fatigue. Change in hormone level affects your neurotransmitters level. It is a brain chemical useful in regulating woman’s mood. Progesterone and estrogen are female hormones which regulate the reproductive cycle and are partly responsible for mood swings. Thus, hormone change affects women’s mood swings during pregnancy. It occurs between six weeks to ten weeks and in the last trimester of pregnancy. Various thoughts regarding pregnancy and soon to be born baby also stand responsible in triggering mood swings. It is advisable to think positive and keep yourself active, both physically and mentally. This will help you stay away from the negative thoughts. Positive thinking is the best way to overcome your mood swings. Take enough rest and sleep. If possible try to take some nap during afternoon. If you are a working woman, you need to take some frequent breaks and keep yourself relaxed all during the day. You can join yoga, music, or cooking classes, etc. as per your choice. Read articles or books. Go for books that can guide you about pregnancy care and other important things about the baby. Regular exercise like walking or jogging is also helpful. Meditation can also help you check your mood swings and limit them significantly. The bottom line is that you must keep yourself with some creative and constructive activities. If you love socializing, you can always hang out with your friends, watch a movie or do some shopping. Just make sure you stay away from any kind of stress or negative thoughts. Mood swings during the first trimester of pregnancy is normal. In case you find your mood swings last for long time, for fifteen days or more, you need to consult your doctor. It is considered depression and for that you need to take some good advice. If you experience anxiety and increased level of frustration, you must contact your doctor without any further delay. Take proper care during pregnancy and try to keep yourself happy so that the mood swings don't cause you much trouble!